A pool provides great refreshment and relaxation on a hot summer day, but it’s not all fun and games. There’s a lot of work that goes into keeping the water safe and clean for swimmers. Get into a good maintenance routine so that your pool will be ready whenever you’d like to jump in. Your pool requires attention pretty much every day. First, give the pool a quick once-over to assess whether the water looks clear and all of the components appear to be in good shape. Next, skim off any floating debris, such as leaves. It may be a good idea to quickly brush the walls and the floor, as well. Finally, perform a quick water check to ensure that the chlorine and pH are within acceptable levels. Add chemicals to make adjustments as needed. 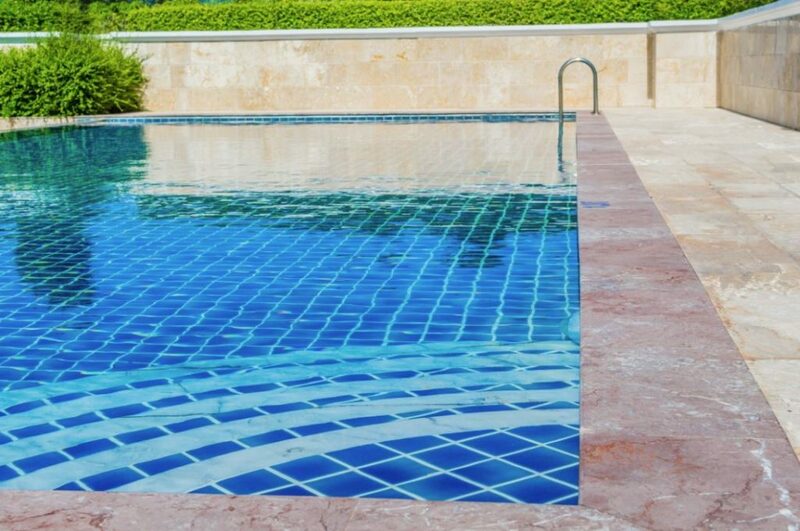 Dirt that settles on the pool floor can encourage algae growth. Therefore, a weekly vacuuming session is essential. Brushing the pool first can help loosen the debris. Once a week, you should test your alkalinity and stabilizer levels. Add the proper chemicals as needed. It’s also a good idea to put in algaecide weekly. To keep your water free of contaminants, you should bring the chlorine up to shock level on a regular basis. The amount of stabilizer in the pool determines the necessary chlorine level for shocking. For example, if your stabilizer is at 30 ppm, then you should bring your chlorine up to 12 ppm in order to shock your pool. Shocking weekly is a good rule of thumb. However, if you’ve had a number of people in your pool, or there’s been a heavy rainstorm, you may need to shock more often. Your pool is equipped with multiple filters to trap foreign items so they don’t circulate through the pool again and again. The first is the basket in your skimmer. You should empty this at least once a week, though more often may be necessary. Your pump may have another basket to trap items that made it through the first level of filtration. Empty this basket weekly. Finally, your pool’s main filter should be cleaned as needed. Cleaning methods vary among the various styles. Some filters get backwashed, and others should be removed and sprayed down. If you notice that your return jets are low on pressure, it’s probably time to clean the filter. With proper care, your chemicals, filters and pool pumps will work together to keep your swimming pool clean and clear so you can enjoy the water all summer long.